This Blonde Flick Wig has a fantastic big hair design with fringe and flicked ends for a fun 60s or 70s look. A quality Wig for any fancy dress occasion. 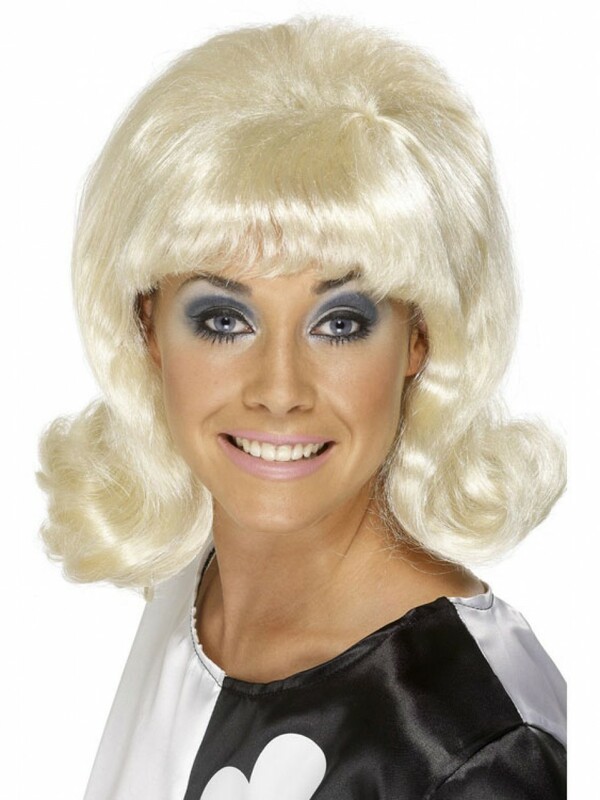 This Blonde Flick Wig is ideal for a groovy look and is perfect to complete any Mod Girl Costume. The blonde wig has a big hair design with a fringe, high hair at the back and flick-up ends to create this great look. The wig is Smiffy’s Brand who have been a leading Wig Maker since 1984. The Blonde Flick Wig has a great shine for a quality look and will complete your look to perfection.